Gradients are one of my favorite nail art techniques. 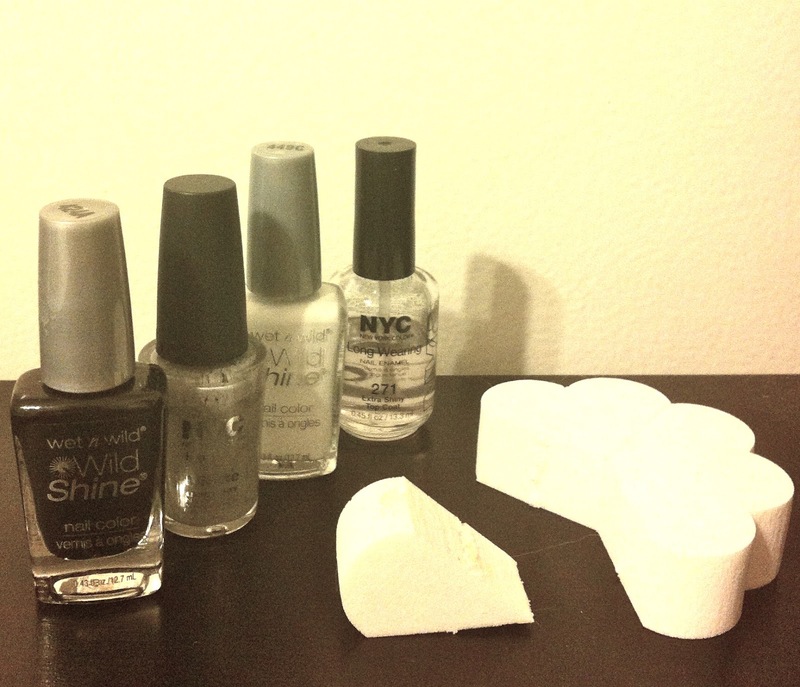 It let's you combine so many of your favorite nail polishes into one manicure without it looking all over the place! 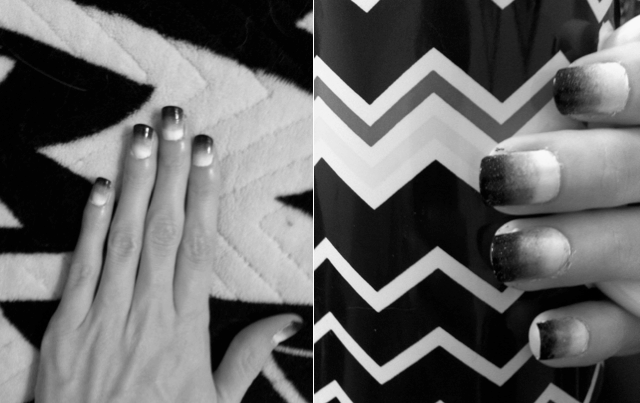 Today, I tried another combination: Black & White. I really love how this one turned out. It has a much different feel from my previous bright colour looks, even though it's the same technique. My gradients are not the most polished, the colour change is abrupt, even so, it still looks awesome & practice makes perfect, right? You also need to get a feel for what polishes work best for this and what don't. I found that instant dry polishes are more difficult to blend, though it gives a cool sponged-on look that I like in it's own way. There are many nail blogs that show how to create Gradient Nails. 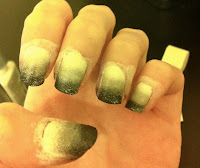 Some of the blogs that have tutorials that helped me out were The Nailasaurus, The Beauty Department, and Amber Did It. I tend to use multiple techniques depending on what works with the polish. So, here's how to make Black & White Gradient Nail Art! 1. Paint your nails with your base colour. I chose White. Let this completely dry. 2. For two colours, I use The Nailasaurus' tutorial pretty much exact, mixing the two colours to form a third. 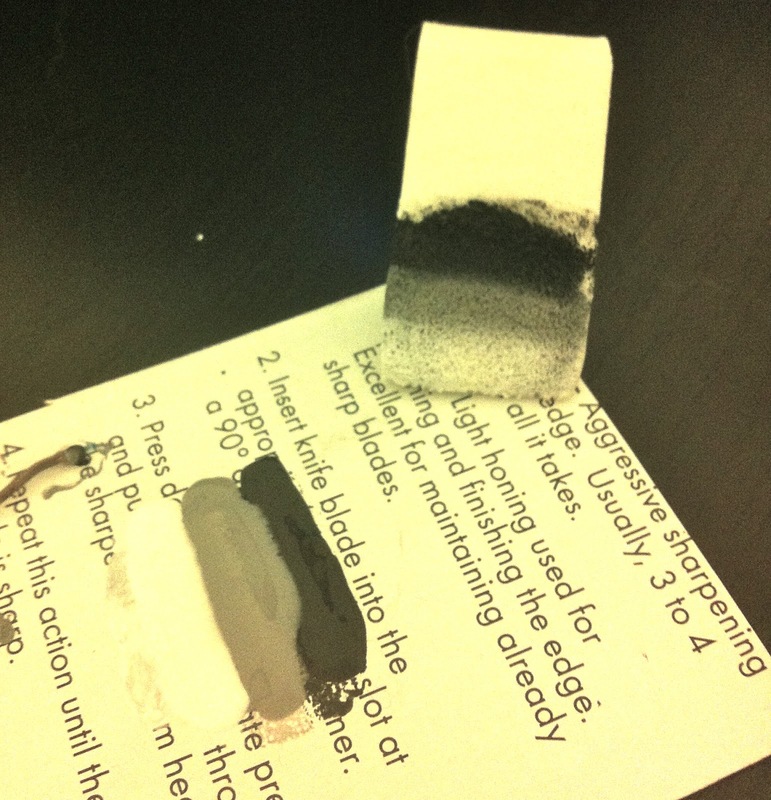 However, since I have the medium shade (Gray) , I just painted a line of each polish in the order of darkest to lightest on a piece of cardboard. 3. Next, I took my make-up sponge & soaked up the polish on the cardboard, lining the end of the sponge with the last colour (White). 4. Press the sponge on your nail! It's super messy! 5. Repeat steps 3 & 4 for each nail. I did this twice per nail to build-up the colours. 6. Wait for it to dry, which is pretty quickly. If any make-up sponge bits get stuck on your nail, don't worry, just wait for it to dry then rub your nail on a pair of jeans. 7. Now you can clean up around your nail & apply your top coat! 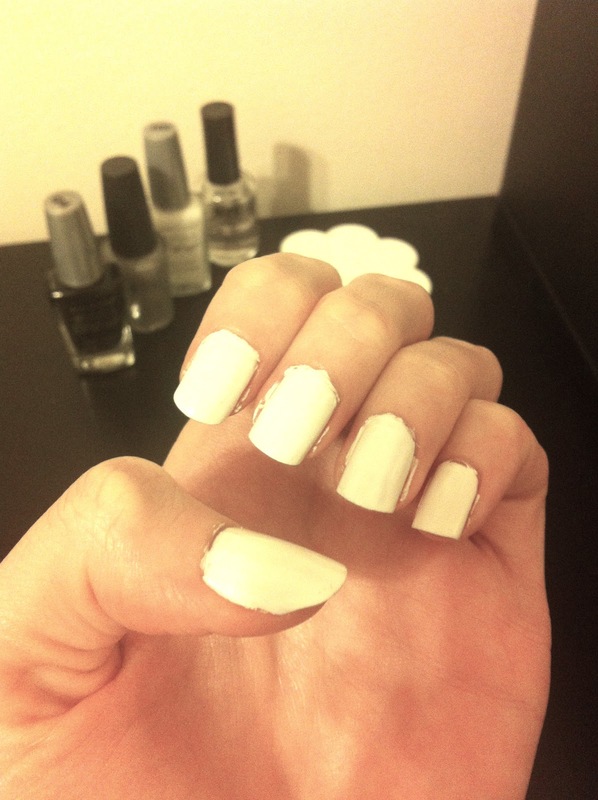 I really love this monochromatic manicure! It has a more modern aesthetic than a colourful gradient, while still being fun. Have you tried using the gradient nails technique? What colour combinations do you like best? This gradient reminds me of a rainy city day.